Unfortunately it wasn't the dream start for Tai Woffinden's Speedway Grand Prix campaign at the weekend. 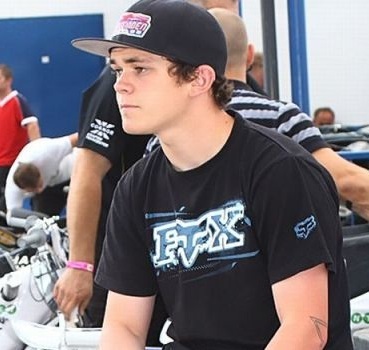 The eagerly awaited series kicked off in Leszno, Poland and was the first GP for Scunthorpe local Woffinden after being named as a wildcard over the winter. The 19 year old had a difficult evening in what most people believe is the most competitive line up in the Grand Prix for a very long time. Woffinden picked up just the one point on the night but certainly showed good speed, but was let down by his gating which he admitted after the meeting cost him better results. "It was what I expected tonight. I never got the opportunity to see any daylight and get to ride the lines I wanted too but it's always difficult when you're at the back. I was quite happy with tonight and I didn't end up with zero points so that was good. It was my first GP and I'm only young. I have got plenty more years at this level. I want to win every race I am in. In my first two races I didn't make the best of starts, so then we changed the bike a bit to help me get out the start and then of course I beat Chris (Harris). In my next one, I was off gate four and I was trying to get across them all at the start but me and Rune (Holta) had a bit of a coming together so that was that to that race. That's speedway for you. When you are riding for the world championship you know it's always going to be tough." Finishing the evening with one point wasn't a true reflection of the effort he had put in. He was unlucky to lose out to fellow GP newcomer, Chris Holder, after a titanic battle but heat 9 was the race of the night for Woffinden. The Wolverhampton captain got the better of his Great Britain compatriot Harris after a stunning pass over the Cardiff GP winner from 2007. Preparations for this weekend had been disrupted due to the problems faced with travelling due to the volcanic ash restrictions. Woffinden said, "I was supposed to be flying from Sweden to Poland but in the end in didn't happen so we had to drive out to Poland in my motorhome." The GP was a lively encounter on an excellent track producing lots of passing. He was full of praise for the track conditions which in the past have often led to slick, processional races. "It was good with a bit of dirt on. I don't think anyone expected the track to be like this today. It was the same as a league match as I have rode here a few times in the Polish league. It was a perfect track, they prepared it really well." There was no rest for Woffinden after the GP. Leaving immediately after the GP, he and his team faced a long journey to his Polish club Czestochowa to race Sunday. Then the following day, a quick return to England to ride for Wolves. Tuesday back racing in Sweden. The life of a GP rider is always very hectic! Current World Champion, Jason Crump, was the eventual winner of the meeting. Leszno rider, Jarek Hampel was 2nd and the young Russian Sayfutidinov joined them on the podium. "Perhaps the Grand Prix Wild Card place has come a little to early for Tai. And if the results, don't start coming, his inclusion in the Series, will do him more harm than good. Which is a shame, because he his a first class rider and at 19, provided he can stay clear of injury, he could easily become the next top Englishman. This is where the one off World Final, was so much better, simply because if Tai had got knocked out in an earlier round, ie the British Final, at least he could put that dissapointment behind him and aim to improve next season. Where as now he's got to go to the remaining G.P's in hope he can gather enough points to finish in the top eight to be seeded into next seasons competition, and if he continues to struggle it will only damage his confidence even further." "The guy is young. Let this be a learning curve for him. Not everybody is a star on the first day. look at Ivan Mauger he started slow but came on like a freight train. Forget about it and move on. If starting is the problem he better work on that real quick unless your a Peter Collins and can come from the back. Coming out the box never mattered to him. Let the hard work start. Good luck Tai."